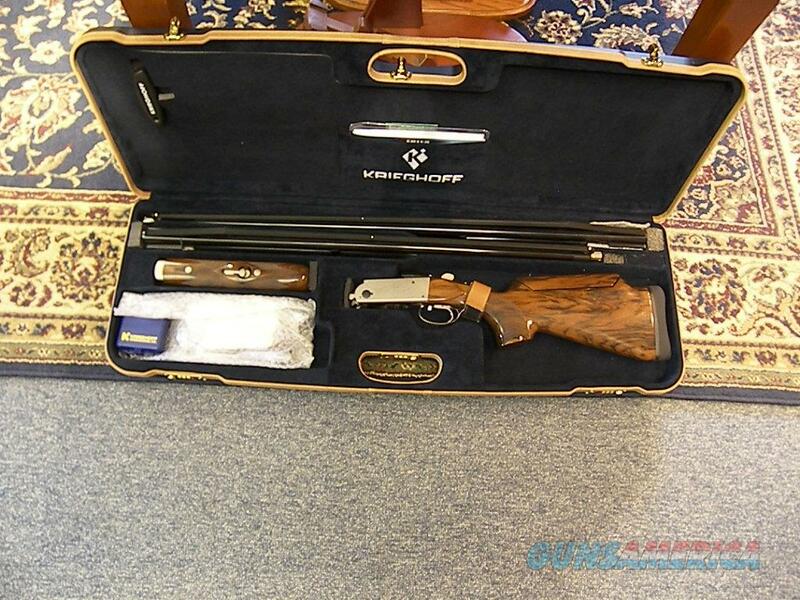 Description: Krieghoff K-80 12ga. 30"/34" Top Mono Trap Combo set. This gun is in like new condition and only had 5 or 6 boxes of shell shot threw in. We sold this gun new 6 months ago. This gun features adjustable ribs on both the over/under barrel and Top Mono barrel, Titanium chokes, adjustable comb on stock. This gun retailed for $17,995.00. Please give us a call with any questions at (585)381-3511. JTH Agency.